A mutual aid assistance application for the earthquake disaster. Kizuna is a home project developed by WiredIn, Ldt in partnership with Kobe Institute of Computing. 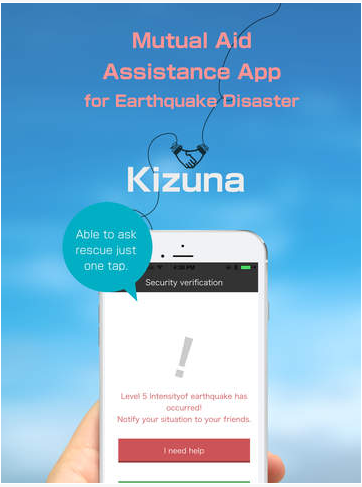 “Kizuna” is a mutual aid assistance application for the earthquake disaster. “Kizuna” enable users to confirm the safety and location information of family and friends, and request the mutual assistance nearby. You can register each other friends as well as the acquaintance of the neighborhood to help each other when a large earthquake disaster has occurred. Also, a message notification can be sent to confirm the user’s situation when seismic intensity of 5 or more large earthquake occurs, and users will answer their own state(Safety or Need help) through simple screen. 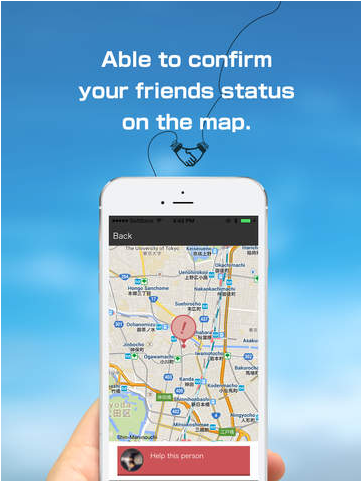 Friend’s statuses are collected with GPS position and user will be able to know whether they need help through the app. This application provides efficient safety confirmation and mutual help using its features. People use this app and “Kizuna” registration between friends, family, and the people nearby in preparation for emergency. Check below links to the app (iOS and Android version) as well as some screenshoots of explaining how the App works.